What is the ICO Express? 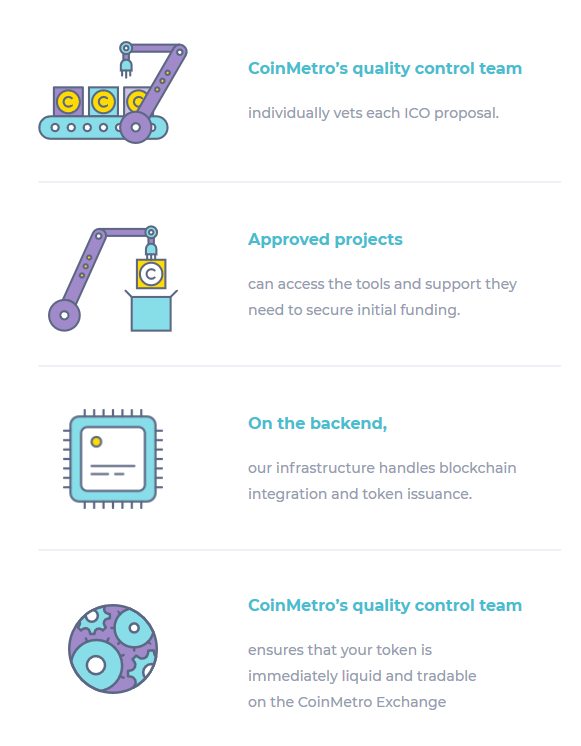 Description of CoinMetro' ICO express platform. As the digital asset economy matures, more and more companies are exploring the benefits of block-chain technology and issuing their own tokenized assets for sale, by means of contributions in their ICOs (Initial Coin Offering). We believe tokenized assets are not only the future, they are inevitable as we move forward into the global economies. Launching a successful ICO is hard work. We know because we did it! ICO Express eliminates a lot of the legwork, giving vetted companies access to a complete block-chain infrastructure, support network, easily customizable tools for issuing smart contracts and tokenized assets, and access to secure funding opportunities for their project. Leveraging CoinMetro’s own secure block-chain infrastructure through ICO Express reduces the time and energy required to deploy a tokenized asset and allows companies to focus on their core mission, enhancing the real value represented by that token.